YOU'RE READING Will Kate Middelton defy royal dress protocol and wear black to the BAFTAs? We have noticed the few times the Duchess pulled a Meghan Markle. Despite her squeaky-clean image, Kate doesn't lack a rebellious side. The Duchess of Cambridge has broken a few royal rules and might even do so again as soon as this coming British Film and Television Awards (BAFTAs). InStyle reports that the upcoming BAFTAs red carpet dress code will closely resemble the hue that dominated the Golden Globes earlier this year, black. Celebs dressed in all black to show support for the Time's Up and #MeToo movement. This year William and Kate are attending the BAFTAs and many are now speculating as to whether the couple (and in particular Kate) will opt to wear black. Thing is, it's a huge catch-22 as being a royal means one is not supposed to make a political statement in public. But on the other hand, if the Duchess chooses to wear any colour other than black, she might be seen as unsympathetic to women abuse. We'll find out on Sunday which option Kate chooses as the lesser of two evils but for now let's take a look at Kate the Rebel. My money's on a black outfit. 1. According to WomansOwn.co.uk living at Anmer Hall in the English countryside was very untraditional as the core royal family has always lived smack bang in the middle of London. 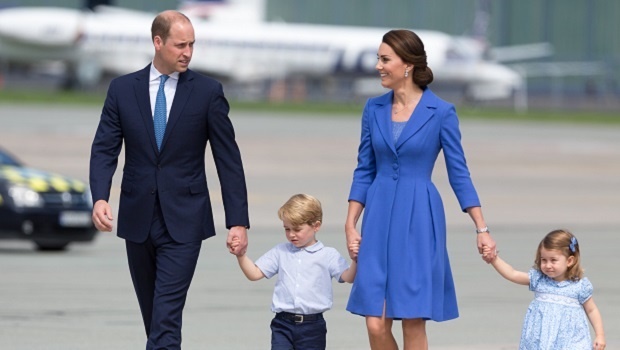 Plus the couple even chose to send Prince George to a local nursery school instead of those selected by the royals. 2. They are emotional in public. Royals are famous for seeming rather cold and almost robotic in public. The couple always seems relaxed, down to earth and personable and even sneak a bit of PDA every now and again. 3. Kate wears off the rack! Gasp! I know. Usually royals wear custom-made designs but Kate often opts for classic cuts that are practical and comfy from the likes of Gap and Zara. And yes, she even repeats items and still slays.